I began working for the AAVSO in 1985, at the suggestion of my former boss, Dr. Dorrit Hoffleit , at the Yale Astronomy Dept. I worked for Dr. Hoffleit as a research assistant and computer programmer on the Bright Star Catalogue (4th ed.) and the Supplement to the BSC. Having been involved in just about every aspect of staff work at AAVSO Headquarters over the years, My responsibilities now center on: compiling and archiving the non-automated variable star observations received at headquarters, including historical observations; production editor for the AAVSO Journal, and arranging and cataloging the AAVSO's archives—an ongoing project begun in 2000. I am also called to assist other staff with their projects as needed. I have published, with AAVSO Past-President Thomas R. Williams, Advancing Variable Star Astronomy: The Centennial History of the AAVSO (2011, Cambridge University Press). I feel privileged to have known so many dedicated observers and supporters of the AAVSO's prime mission of service to the science of astronomy. I feel fortunate to have at least met, if not worked with, some of the famous names in the AAVSO's history: Charter member Willem Luyten, Margaret Mayall, Dorrit Hoffleit, and of course Janet Mattei; also, Helen Thomas, Florence Campbell Bibber, Danie Overbeek, Frank Bateson, Wayne Lowder; and the list goes on to include so many more whose names do not often, if ever, appear—those who may make only a few visual observations each night, and yet have been doing it night after night for many, many, years because they know that all observations, including their own, make a real contribution to our knowledge of the universe. The "Association" in "AAVSO" continues to live through these dedicated members, observers, and supporters. All who are associated with the AAVSO should know and be proud of the history and tradition that preceeds them in their dedication at the eyepiece each night. 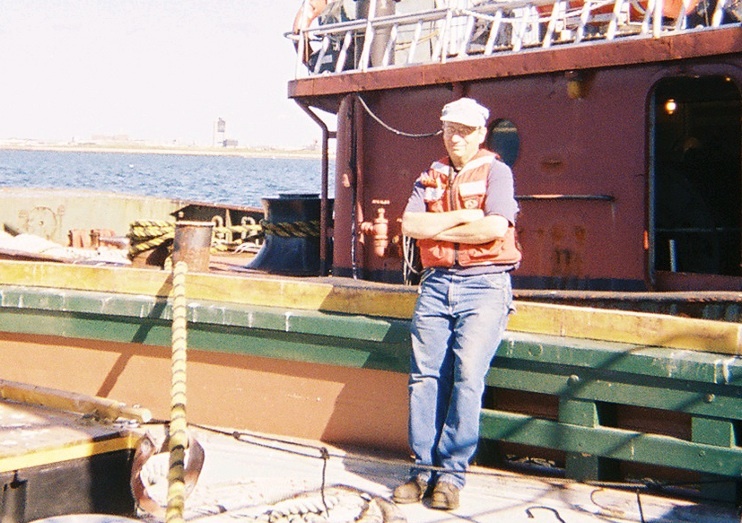 After serving on a North Atlantic weather ship  and at a lifeboat station in the U.S. Coast Guard, I attended Temple University in Philadelphia, and Buffalo State College (B.A. ); Middlebury College, Vermont (M.A., Bread Loaf School of English, including three intensive summers at Lincoln College, Oxford University, where I studied with Stephen Gill, Dennis Kay, and A. Walton Litz ). Soon after earning my first M.A., I taught literature and writing at St. Anselm College, Manchester, New Hampshire, and writing, math (up to pre-calculus), and programming for an adult education class at New Hampshire College, also in Manchester. I later earned an M.A. and Ph.D. from Brandeis University, Waltham, Massachusetts, where I studied with Allen Grossman , John Burt, and William Flesch of Brandeis, and Stanislaw Baranczak  of Harvard. When I am not working hard for AAVSO Headquarters, I enjoy volunteer work helping to restore to operating condition the historic tugboat LUNA —the first commercial diesel-electric tug, built in 1930. When not being a wharf rat , I also enjoy spending time with my wife Ann in the peaceful hills of western Maine. When all else fails, I take to brewing—and drinking—my own beer.